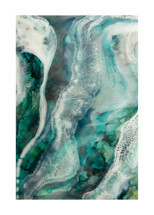 I’m proud to announce that Minted is selling reproductions of my artwork! Click here and you will find a few of my favorite pieces, as well as the close-up shots that I adore. Original, award-winning artwork, from local and regional artists hang in this beautiful space. I’m very honored to have the opportunity to be a part of this gallery. Represented by East End Gallery, my artwork can now be found online at “The largest curated collection of art, anywhere!” Visitors can look, share, purchase and even bid on the art and antiques listed here!